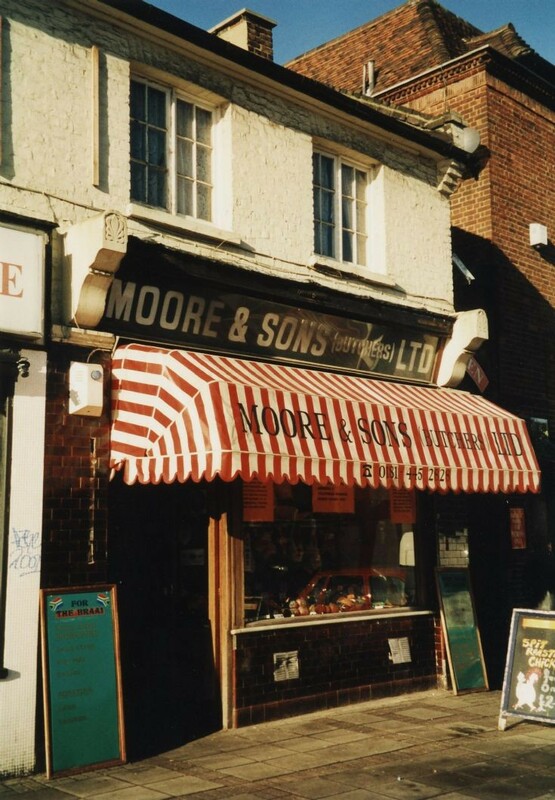 No 1275 is Moore's the butchers. This photo was taken in November 2000; fifty years earlier there were 5 butchers shops in Whetstone. Today there are none.